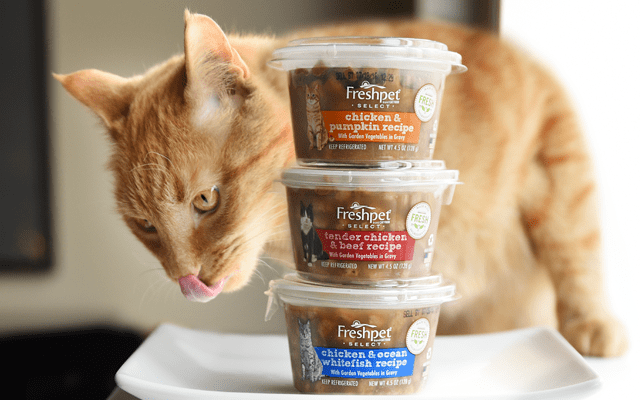 New Freshpet Select Cat Cups! 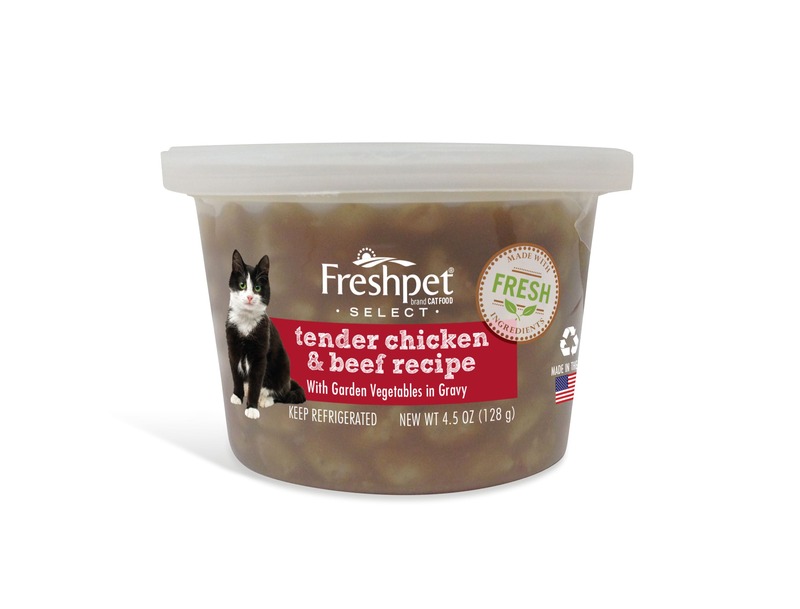 I only feed my kitten/cat Freshpet! 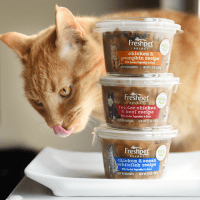 Freshpet Vitals that I buy from PetCo. and now, the cups! She loves them! She is healthy, beautiful and feisty! 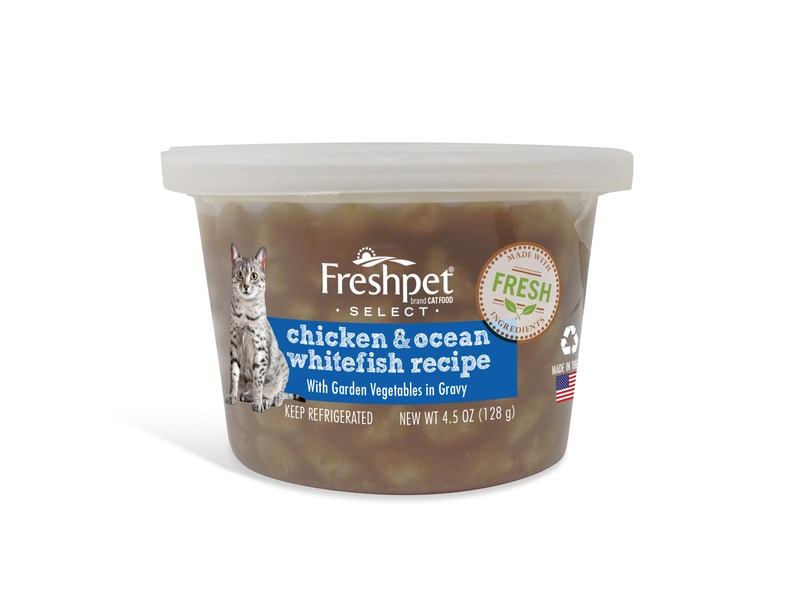 I have loved Freshpet since I found it several years ago. I love that it's fresh ingredients, healthy and apparently tasty as it's devoured instantly! I found these cups about 2 months or so ago and love them. My cat gets about 2 meals out of each cup so it's really economic in addition to being the best food on the market! 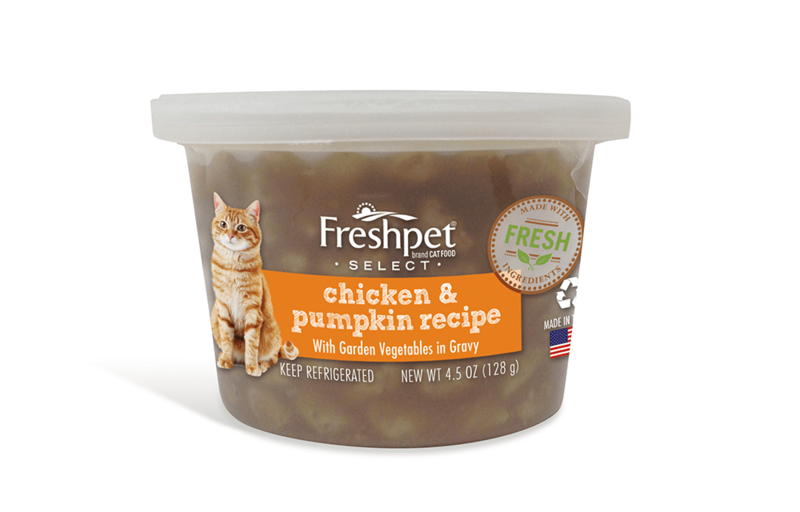 Thanks Freshpet for a job well done! Will be checking my supermarket for these Cat Cups I'm sure my 2 will love them!! Could you please let me know the ash percent in them, please? Also, it normally takes me a week to go through the bagged food but by mistake my son bought me the bigger (2lb) sized one. Can I freeze 1/2 of it when I open it as not to waste it? Also, it would be Purr-fect to get some coupons for the Cat Cups!! Thank you, have a good day. 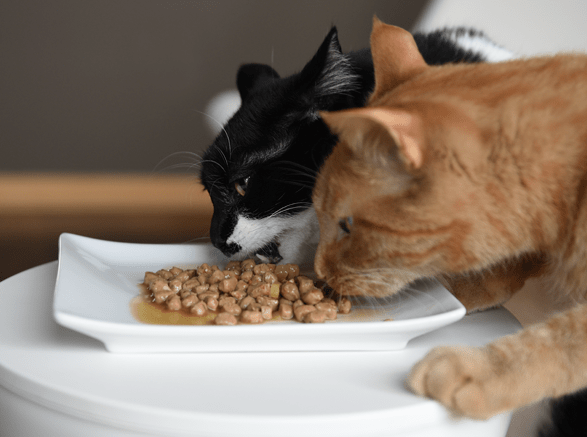 I've been buying Fresh[Pet for my Cornish Rex, Marmaduke.That's all he eats. Why don't you give us a coupon to try the new formulas? That would be fair since I don't know if he will eat something different. He had hardly any hair when I got him. Now he has a beautiful short wavy hair coat. I love the Freshpet foods, but cannot afford to feed them to my big, giant dogs! I have a Newfie cross, and a Great Prynees/Leonberger that weighs 115#. The Chihuahua gets it, though! I just submitted her story..